89.1 WEMU and Sesi Motors present the 5:01 First Friday Jazz Series dedicated to the memory of the late Dr. Jan Winkelman. Join us for a 5:01 pm celebration of music and fun at Rush Street. We will return to Rush Street, 314 South Main between Liberty and William Streets in Ann Arbor. 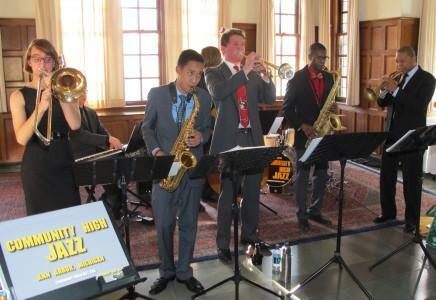 Community High Jazz Combos play @ Rush Street, Friday, November 7th - 5:01 pm to 7 pm. "Sonic Boom" and "Free Radicals," both directed by Jack Wagner. The show is at Rush Street, 314 S. Main Street in Ann Arbor, Friday November 7th, 5:01-7 p.m. Admission is free for all ages.